Renaissance epic, romance, and theater; women's study, cultural studies, medical and literary understandings of the body, and psychoanalysis. Finucci, V, The Prince’s Body: Vincenzo Gonzaga and Renaissance Medicine (2012), Harvard University Press, ca. 300pp. Center for New World Comparative Studies Fellowship, John Carter Brown Library, Brown University. Gladys Krieble Delmas Foundation for Research in Venice. Fellowship, Franklin Humanities Institute, Duke University. Research Grant, Harvard University/Villa I Tatti. Trent Foundation Grant to organize a symposium at Duke in 2011. Valeria Finucci received a "Laurea" from the University of Rome and a PhD in Comparative Literature from the University of Illinois, Urbana-Champaign. Her main interests are Renaissance literature, theater, women's study, early modern medicine, and psychoanalysis. She has written on femininity and power in Renaissance discourses, The Lady Vanishes: Subjectivity and Representation in Castiglione and Ariosto (Stanford, 1992) and on issues of masculinity and paternity, The Manly Masquerade: Masculinity, Paternity, and Castration in the Italian Renaissance (Duke, 2003). She is the editor of Renaissance Transactions: Ariosto and Tasso (Duke, 1999); and co-editor of two collections of essays, Desire in the Renaissance: Psychoanalysis and Literature (Princeton, 1994) and Generation and Degeneration (Duke, 2001). 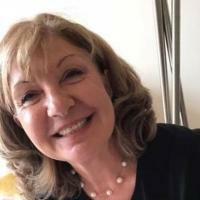 She has also published the critical edition of a 16th century Italian chivalric romance, Moderata Fonte's Tredici canti del Floridoro (Mucchi, 1995), and of the only prose romance written by a woman in the Renaissance, Giulia Bigolina's unedited Urania, published first in Italian (Bulzoni, 2002) and then translated into English (with "Giulia Camposampiero" added) as Urania, a Romance (U of Chicago P, January 2005). She is co-editor of the Journal of Medieval and Early Modern Studies and has just edited a special issue of the journal, In the Footsteps of Petrarch (forthcoming 2005).